Although Holy Week and Easter Sunday celebrations are over, my mind is still on the events of last week and one particular act Jesus did for His disciples—and ultimately for us. It was his humbling act of washing his disciples’ feet (John 13:1-17). On Thursday evening, at a church service I attended in celebration of the Lord’s Supper, attendees were invited to participate in a foot washing ceremony. People were slow to come forward and not everyone participated. I guess, it’s not for everyone, but to those who participated, I’m sure it left them with a sense of humility and reverence. 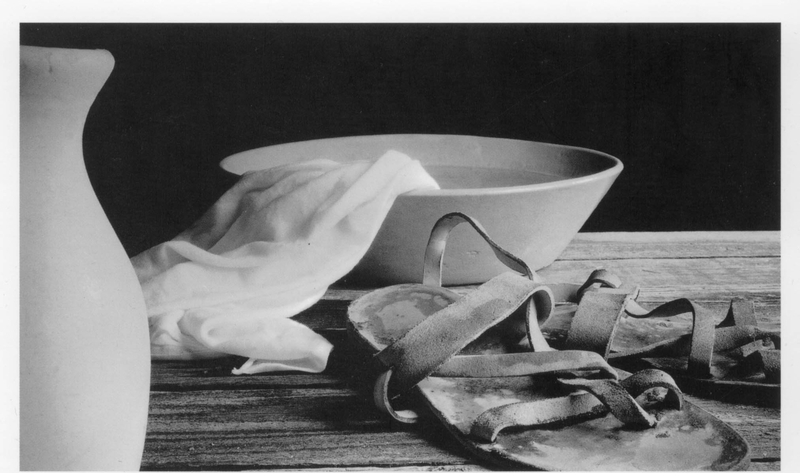 I first participated in a foot washing ceremony at a women’s retreat several years ago. It was at a time in my life when my faith was being renewed and stretched in ways I’d never experienced before. I didn’t jump at the chance then, but prayerfully waited and emptied my inner self before submitting to this act of humility. It was very freeing and left a memorable mark on me—one that I recreated as a final act of service for my mother after she passed away. Washing my mother’s feet wasn’t something I planned to do in advance of her passing. But on the plane ride back home to take care of her funeral arrangements and memorial, I felt the Lord put this desire on my heart. I had never even heard of doing it for a deceased person and thought that might sound strange. However, I knew that bodies were anointed with oils in biblical times—like was done for Jesus—and it just seemed to be the right thing to do. My family and I were only allowed one viewing of my mother’s body before they cremated her remains. I knew the funeral home would have to agree to my request. I was nervous about asking and prayed about it in advance. They agreed, even setting up the facilities and giving us the privacy to wash my mother’s feet. The tears flowed as I dabbed water on my mother’s feet and told her my final thoughts and prayers on her behalf. Washing my mother’s feet was just one of the many powerful and beautiful ways that the Lord allowed me to serve and honor my mother in her parting. If you are not a Christian or have never experienced something as humbling or selfless as this kind of act, I imagine it may sound somewhat strange or even ridiculous in nature. I would’ve thought the same in years past myself. The point is not to go around physically washing others’ feet. Jesus used this symbol of humility and obedience to model to his disciples, and to us, to serve others. Since my mother’s passing, my perspective on how I serve others has taken a dramatic shift—a Holy Shift, if you will. It isn’t generally in structured ministry opportunities at my church. It isn’t even in a non-profit setting. Besides my writing, I’ve chosen to serve others through opportunities to connect over coffee, email, Skype and now in the speaking realm. It may not look like ‘serving,’ but it is meeting the needs of others as we share Jesus’ message of hope and healing. 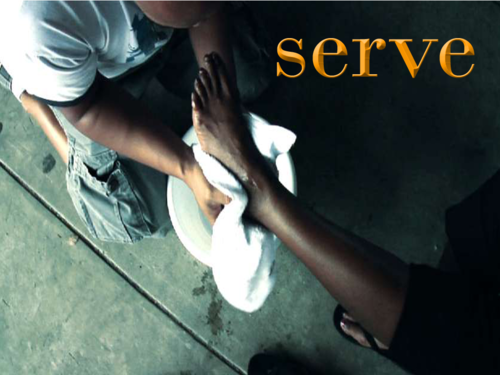 And, as followers of Christ, that is His call to wash each other’s feet. Beautiful Ardis. Serving our parents as a way to heal can’t be overstated. It was truly a gift when I chose to reach out to my dad to invite him to Thanksgiving dinner on the spur of the moment after many years of turmoil during my parents divorce. Two days later he died. That was over 15 yrs ago. God gave me a that gift of joy to see my dad again without the chaos of my mom being there as well. We just got to sit with him & enjoy our time. Our sons were 9 & 12. Now, my heart wants to make sure that I honor the Lord & my mom in this 2nd chance to have relationship with her before she goes home with the Lord. Thank you for your encouragement. Terri, Your story gave me goosebumps when I read it. How wonderful that God kissed you in such a beautiful way with your father. Following that gentle nudge is so rewarding. God blesses our obedience–not necessary how we expect. Arm yourself with the prayer support of loving sisters and serve where He is calling you. Blessings!